On April 16, 2010, Tunisian newspaper "LE QUOTIDIEN" informed him that we had the intention to install a system of teaching with a Convention "Charter High-French Way" for skilled labor in a niche "high value added, "all new to Tunisia, after the presidential project, the" Label TUNISIA QUALITY ", for 2016. 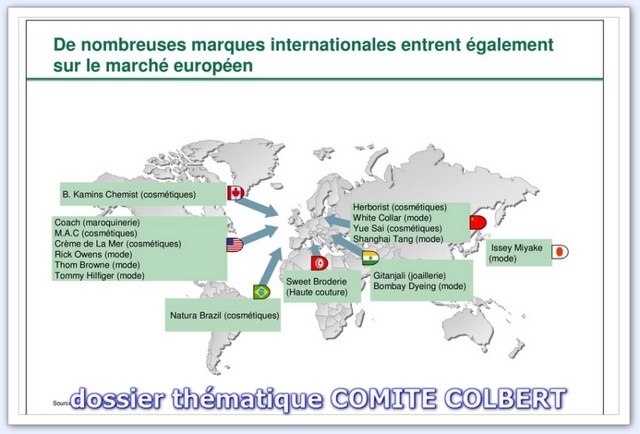 (see map: SWEET EMBROIDERY-TUNISIA). " 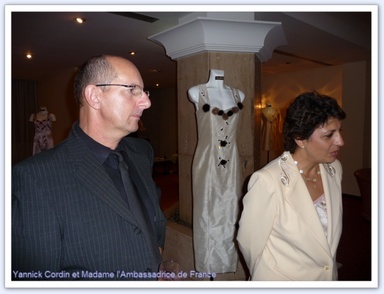 The Embassy of France present the French Haute-Couture Embroidery. 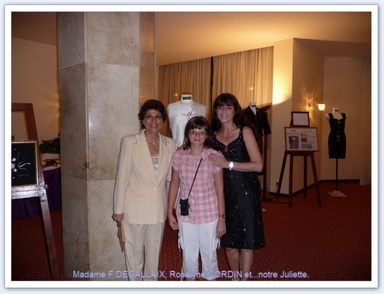 Under the High Patronage Of Mrs The Wife of His Excellency The Ambassador of FRANCE, Mrs F. DEGALLAIX, we present the embroidery French Haute Couture to Tunisia in an exhibition press conference at the prestigious hotel of Tunis, Hotel des Congrès, (ex Abou Nawas). Some Embassadors of differents countries and some tunisian personalities were present for this exhibition. 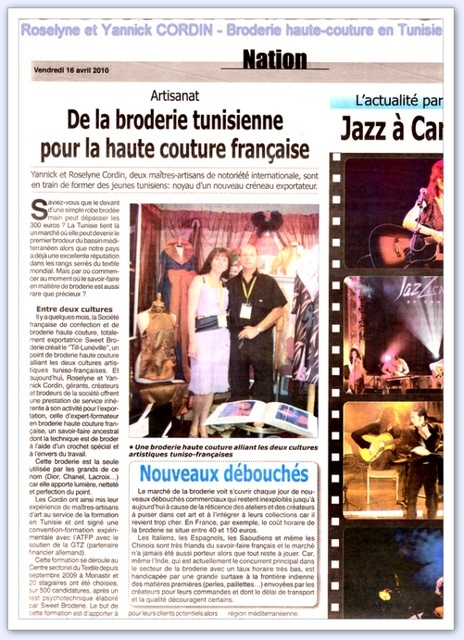 As well as Tunisian National Press was here to declare all over the country the union of the new tuniso-french technical of Haute-Couture Embroidery "Till-Lunéville". Press "LA PRESSE" and "LE QUOTIDIEN"
Tunisian Feminine Magazine : "FEMMES ET REALITES" and "TUNIVISION"